This is arguablely one of the best gospel recordings ever. Not only is the choir off the hook, but the lead/soloist is just an amazing, truly gifted, anointed gospel singer. Although this is a cover of The Edwin Hawkins Singer’s version, it deserves serious attention. “Back in the day”, every Sunday night the Corinthian Temple Radio Choir would perform live on Chicago AM radio. At night, after smaller radio stations had signed off at sundown, the signals of the bigger “clear channel” stations could be heard for hundreds of miles from where the broadcast originated. 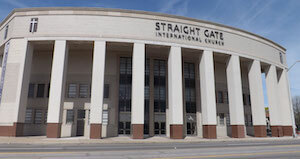 Thus gospel shows like this were heard all over the mid-west and the south and served as a gospel music life line to those not living in urban areas. If you happen to have an extra 11 1/2 minutes (or even if you don’t), find the time to listen to this song. It is a song from one of the first gospel cassette tapes I bought and I’ve come to love it. This is the FULL version of the song, complete with what is called “The Exhortation” at the end (8:10)…(“For so many years I never knew…the importance of praise…the importance of worship…”). Don’t skip it…it’s great; as is the accompaniment and the choir ooohs. I’m amazed at what I don’t know. I tripped across this song this morning, and it just took me and GRABBED me. Whew…sooooo powerful. And those Muscle Shoals musicians add so much to the song. The question. IS THIS A GOSPEL SONG…a TRUE GOSPEL SONG?? Because even though it is performed by the incredible Ms. Alicia Keys, and backed up be an awesome Baptist Church choir, it was written by a white man; Bob Dylan, for his “Saved” album released in 1980. Just when I start worrying I’m running out of songs to post, I realize there are still lots and lots of songs I should have posted already because they are both gospel classics and jut plain great songs. I haven’t posted enough music by Kurt Carr; I should have. He is one of the most influential composers and performers of the ’80’s. ’90’s and ’00s. He is known to be a tough person to work with because he’s so exacting, but when you hear the dynamics of his singers you’ll understand the difference he makes. A nice old song of the Church from Keith Pringle and his Pentecoastal Community choir from 1990. Makes no never-mind; I love both songs, but this is a true favorite of mine. Enjoy. I can’t believe I haven’t posted this song yet after all these years; it is one of my favorites. Hope you enjoy it as much as I do! Having been released in 2000, this is a fairly contemporary song, right? But wait…it’s 2017…this song is almost two decades old! That’s a long time. This, by rights, is now an oldie!! 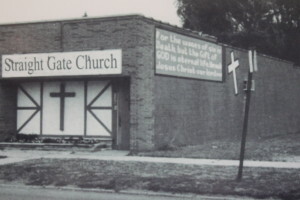 The Straight Gate Church in Detroit was founded in a store front in 1978 and today boasts multiple locations and a membership of 6,000!!! James Cleveland singing a medley of his “hit” songs (to date) from the 1975 album, “Jesus Is The Best Thing That Ever Happen To Me” (Yes, that’s Rev. Cleveland’s gospel-ize version of Gladys Knight’s hit song “You’re The Best Thing That Ever Happen To Me”.